Get behind the wheel of your own race car! 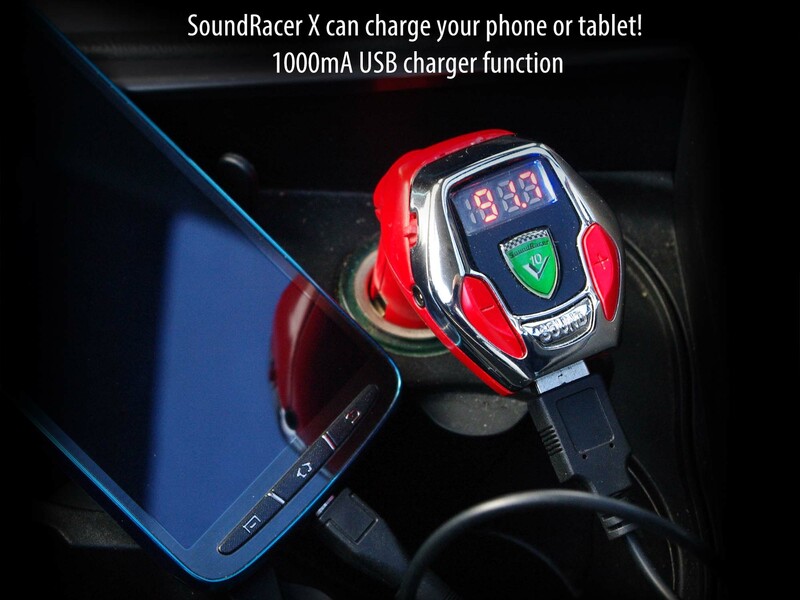 Plug the SoundRacer X into the 12V cigarette lighter socket. Then search your car radio for an open frequency and set the SoundRacer to this frequency as well. Step on the clutch and let the engine rev to 3000 for just a moment. Three short beeps will indicate a successful synchronisation. From now on, the SoundRacer will track the sound of your engine and replace it with the roar of one of the above race cars. 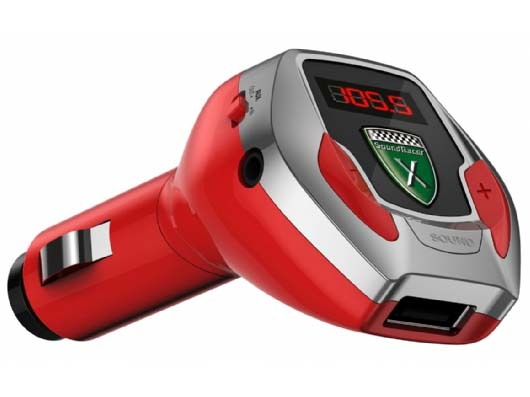 With a press of the SOUND button, you can switch between different engine sounds, which will blast from your car speakers. But the SoundRacer X is more than just an upgrade to a more muscular engine. 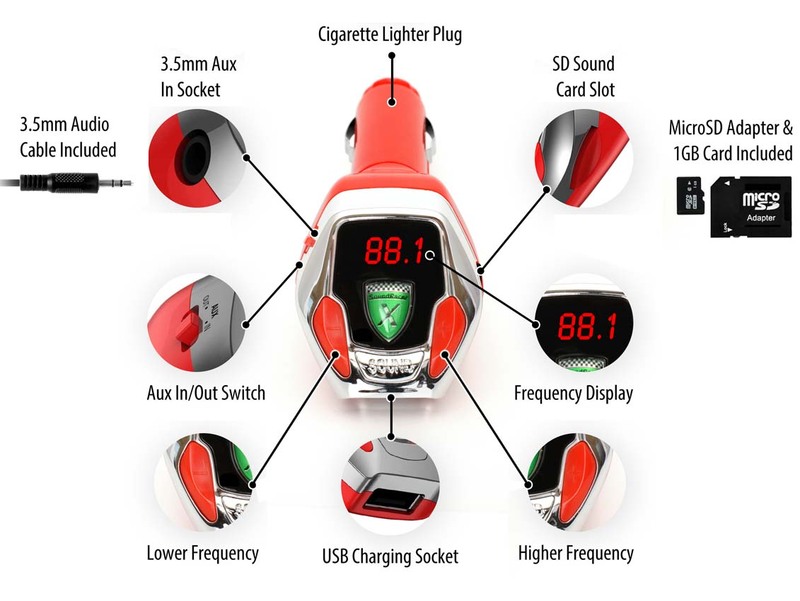 Using the USB port, you can also charge your smartphone or tablet. 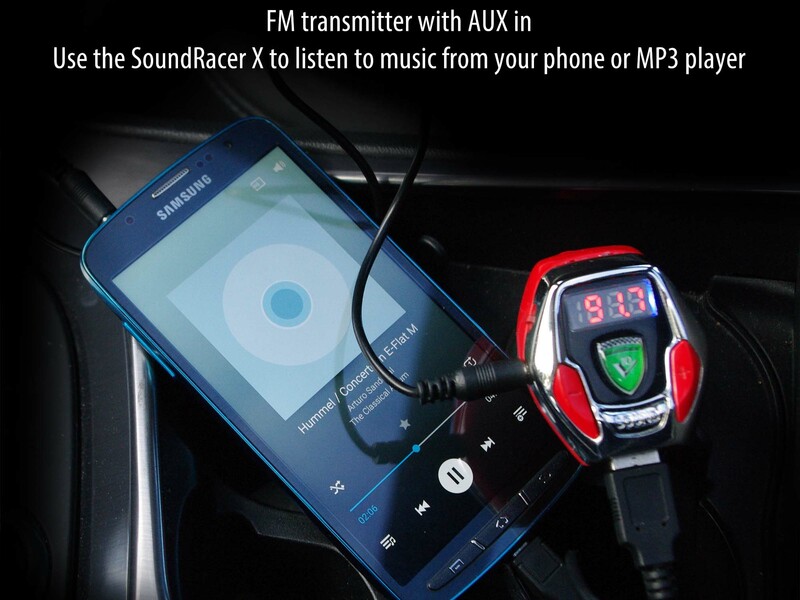 And when you connect your smartphone to the AUX IN with the included cable , you can even play music over your car radio. 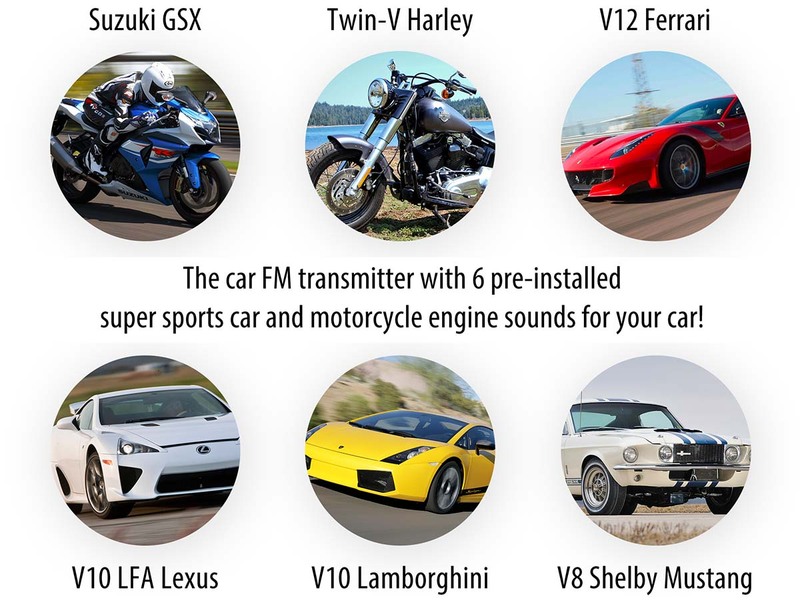 The system uses either FM or cabling, if your car is fitted with an audio input. 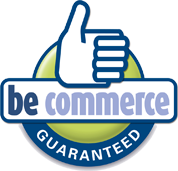 We recommend the cabling option in areas with a lot of radio stations and a lack of free frequencies. How does this work exactly? A peak "under the hood"
Using the cigarette socket, the SoundRacer X picks up the signal frequencies from the AC alternator. These always follow the engine speed, allowing the SoundRacer to make a highly accurate simulation of the engine's rotational speed. This simulated speed is then multiplied by a factor of 3 to create an even more impressive engine sound. From now on, the pinnacle of auto racing is no longer the Grand Prix of Monaco, but your trip from the baker's to the supermarket. 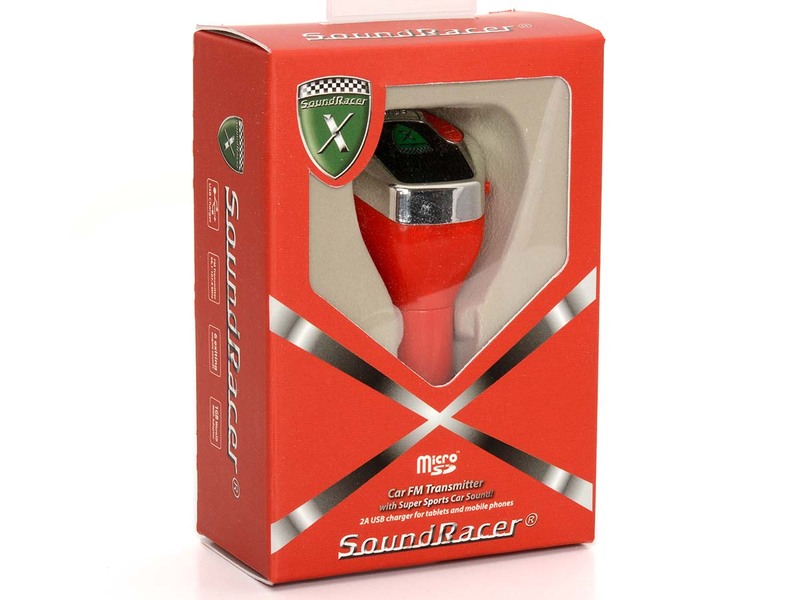 The SoundRacer X is the ideal gift for any auto sports fan. Gentlemen, start your engines!